In my book Old School Evil, main character Jayce finally gets a chance to watch Transformers: The Movie after fifteen years. 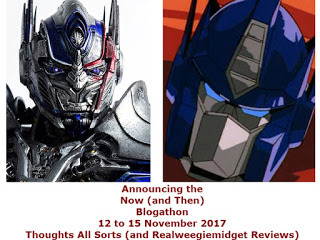 When he finds out Optimus Prime dies, his life literally changes - he realizes that a world of cartoons isn't as simple as he thought as a kid. 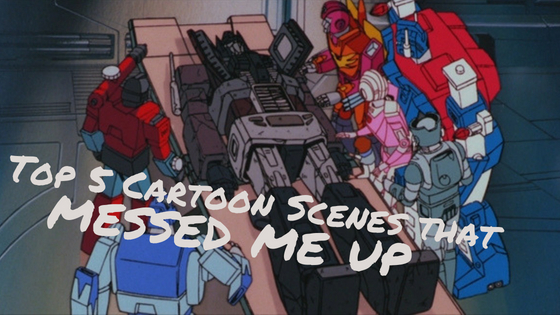 Optimus Prime's death is probably considered one of the most traumatic events in kids animation. But it got me wondering what other scenes screwed with my head as a kid when I was watching television and movies. 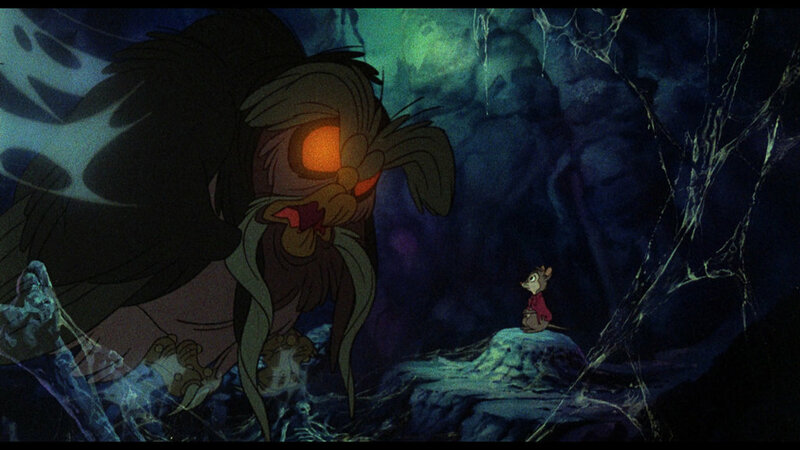 Don Bluth had a talent for making ordinary things scary looking, and none were better than Mrs. Bisby's advisor, the Great Owl. Though nothing happened to the cute little mouse, I was worried through that whole scene that she was getting eaten, sage advise be damned. 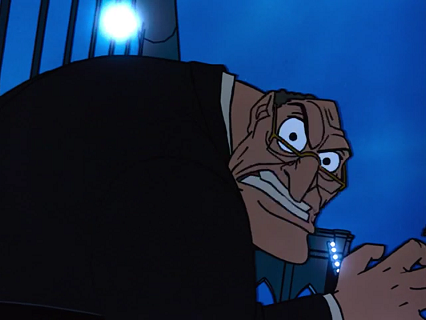 A lot of people will say Judge Doom's reveal is the scariest scene in the movie, the high-pitched voice and the dagger eyes, but for me it was the shear terror the animators were able to imbue into something as innocuous as a shoe that really messed me up. And for us to have to watch this innocent footwear dissolve into nothingness is almost too much to take. Absolutely terrifying. 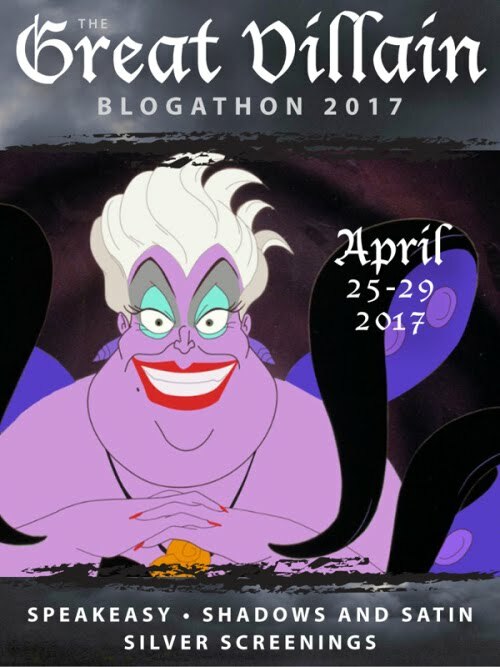 Disney movies are full of death, there's no denying that. 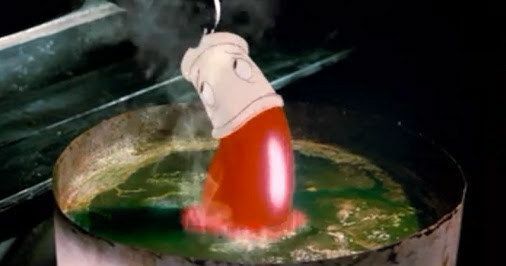 Plenty of villains will fall off cliffs or die in a pigp of magic dust. But Sykes had a special place in Disney's funeral hall - he dies in a way anyone could for in our world, getting hit by a subway. I think the connection to a real world without dragons or magic made it that much worse. Not to mention his dogs getting electrocuted by the third rail. 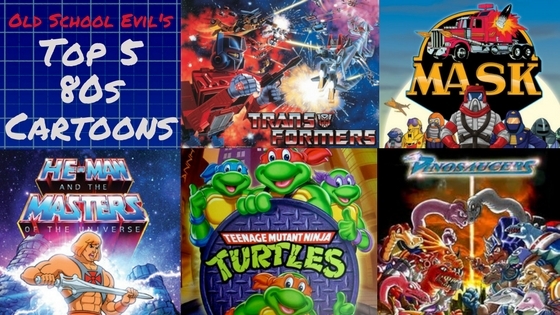 Kids movies hold a monopoly on traumatic scenes because television shows are way more regulated. But if there's an exception to that, it's definitely Inhumanoids. 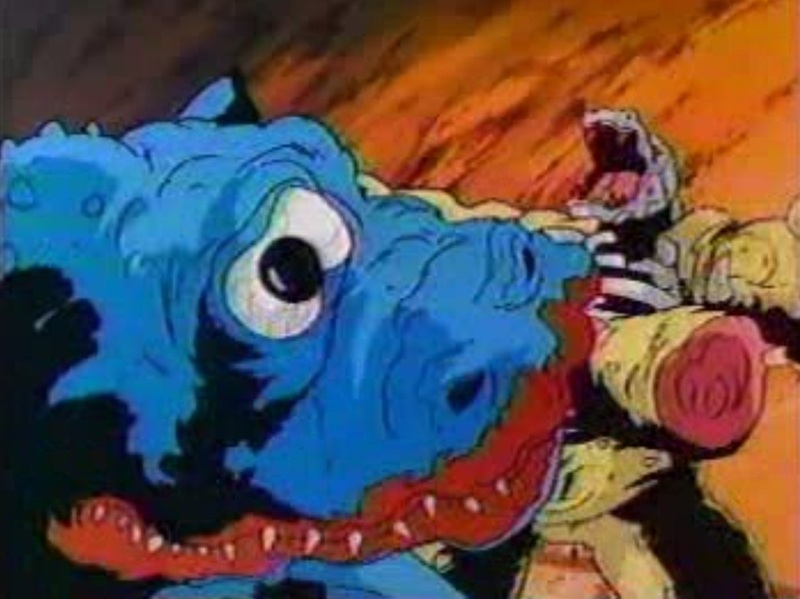 In a show that's basically made up of nightmare fuel, one scene, or character really, takes the cake - Gagoyle. Whether it's his transparent stomach, or how it just bit off D'Compose's arm, this blue monster is beyond freaky. Yeah, I've said it a few times before, but Ironhide's Death is way harder for me to deal with than Prime's. Optimus had a great fight and honestly should have survived the damages to his abdomen. But Ironhide? The shot from Megatron's cannon directly to his face was SO brutal. And that's after everyone else in the ship is shot through. 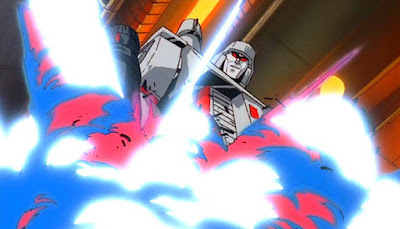 Even Megatron's line "Such heroic nonsense" line is heartbreaking. 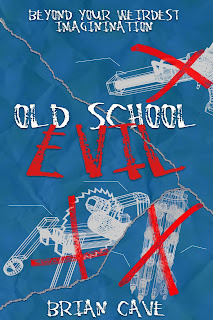 If you want to see exactly how Optimus's death ruins Jayce's life, make sure to pick up Old School Evil, available on Kindle and paperback and for free on Kindle Unlimited. Click the picture below to find it on Amazon.